The approaching 19th Party Congress of the Chinese Communist Party (CCP) scheduled in October/November is the most watched out event both within as well as outside China. What makes this a momentous political event is that it serves a test case of Xi Jinping’s power consolidation- promoting his loyalists and cadres up on the political agenda. Most importantly, the 19th Party Congress is the road map to China’s leadership transition. In China, under the constitutional setup, the national party congress is the CCP’s highest authoritative body. In this framework, the CCP holds the monopoly, however, the political apparatus of the leadership is not monopolized. To say so, as taking a departure from Mao Zedong and Deng Xiaoping’s monopoly over power, at present, China’s commanding influence and control oscillates mainly between two fractions under CCP. First, the “elitist coalition” which is made of ‘princelings’ at the core- those who come from families of either veteran revolutionaries or high-ranking officials. And second, the “populist coalition” which is mainly comprised of ‘tuanpai’- those who are associated with the Communist Youth League (CYL). This makes China’s domestic political process a system of “one party, two coalitions”. This has been a post-Deng framework in charting the succession of power in China following Deng’s tacit rule that power should alternate between these two groups-thus, maintaining the checks and balances in the decision-making process and leaving no room for any form of monopoly. This legacy has been maintained as Deng’s successor Jiang Zemin was a princeling, while Jiang was succeeded by Hu Jintao, a tuanpai, and then Hu, in turn, was succeeded by Xi Jinping, a princeling. In view of this, the pertinent query is: Will the 19th Party Congress that will decide China’s sixth generation of leadership conform to this ‘switch’ tradition? So far, no Chinese leader has attempted to change Deng’s given matrix. However, China under Xi Jinping appears to be a different case altogether. Unlike his predecessors, Xi is often put to the stature of Mao Zedong given his ‘all-powerful cult of personality’- taking more levers of power as that of Mao. To justify, in less than four years time, Xi was officially anointed as the “core leader” of the Party (only conferred to Mao, Deng, and Jiang) in 2016. These new prefixes to Xi’s political profile have significantly elevated his power to new extremes. Likewise, Xi has been able to gradually strengthen the elitist coalition's positions within the party setup. Undoubtedly, this new hierarchy will play a vital role in the run-up to the 19th Party Congress where Xi is vying for the concentration of power. With much at stake, the biggest challenge for Xi lies in the consolidation of his position. 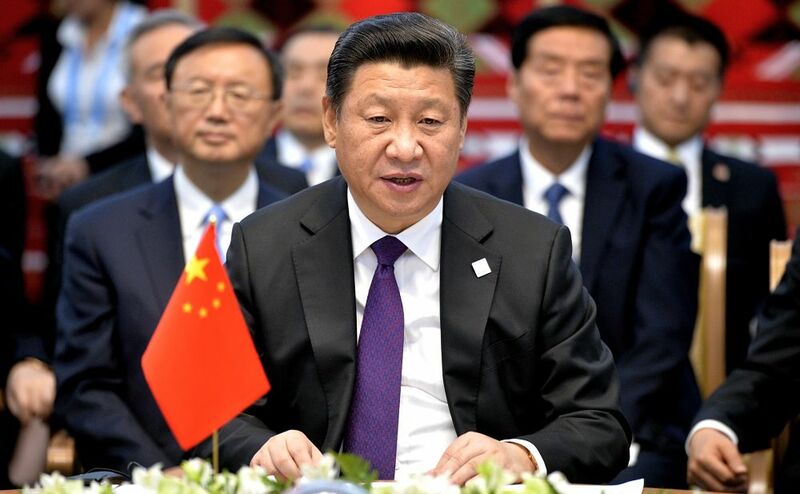 It remains an undisputed fact that Xi will continue to remain CCP’s General Party Secretary; however, the anxiety is related to the composition of the political group. Wherein, following the recently established norms of the CCP, both Xi and Premier Li Keqiang, the two positions that will continue on to the next Politburo Standing Committee (PSC)- a seven member committee of China’s core leadership. It is the selection of the other five Standing Committee members that will play a crucial role in deciding Xi’s own fate. That is, if Xi succeeds in the consolidation of power based on his personal choice, this will automatically elevate his political clout that will bypass the institutional norms. Apart from strengthening his grip over the Party, Xi Jinping has also firmed his supremacy over the People’s Liberation Army (PLA) in his capacity as Chairman of the Central Military Commission (CMC). The military has been a central platform where Xi has strengthened both his personal clout as well as administrative authority. Faced with an economic slowdown, Xi bolstered China’s military standing by advocating sweeping reforms to strengthen and sophisticate PLA’s military capabilities as well as adopting assertive policies as witnessed in the case of South China Sea. This further exemplifies the much-touted position of Xi as the Commander-in-Chief of Chinese military’s Joint Operations Command Centre. Hence to suggest, as Party is at the helm in China, thereby, CCP under Xi has become more personalized and less collective- making it a ‘one man army’. With such power dynamics at play, the 19th Party Congress acts as a litmus test for Xi Jinping. Will it be an all-out win or will the tuanpi’s pose a tough challenge to Xi’s elite-centric calculations remain the watch of the hour. Whatever the results, one cannot deny Xi Jinping’s concerted actions to twist the power equation. Unquestionably, the 19th Party Congress will be a game changer that seeks to shape China’s future power politics at large and its leadership transition in particular.